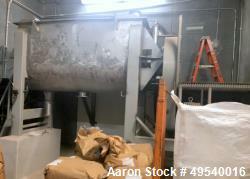 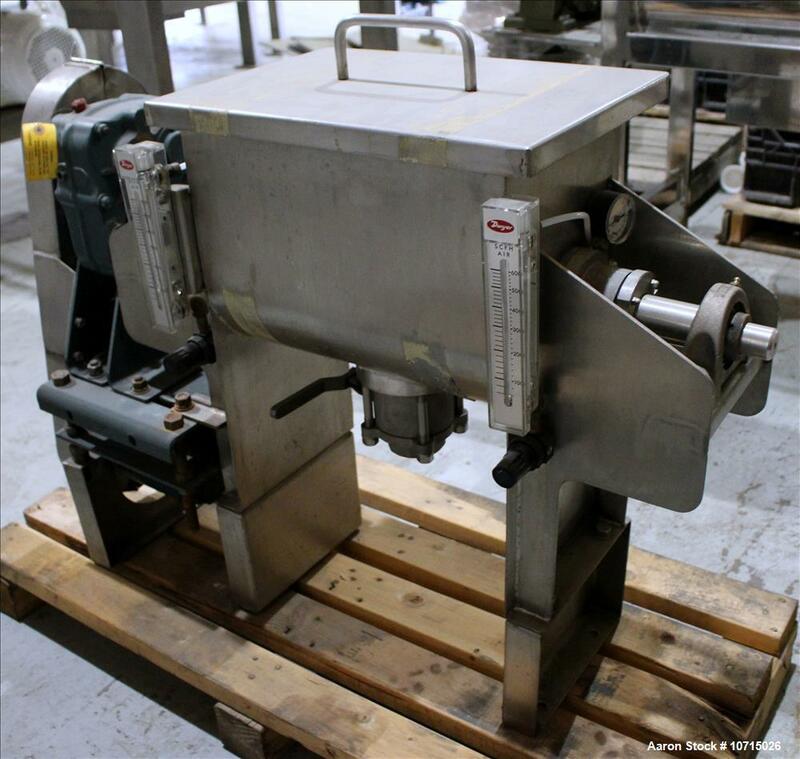 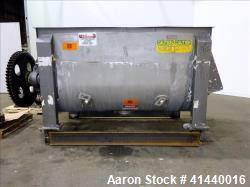 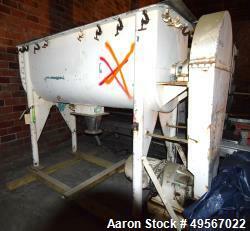 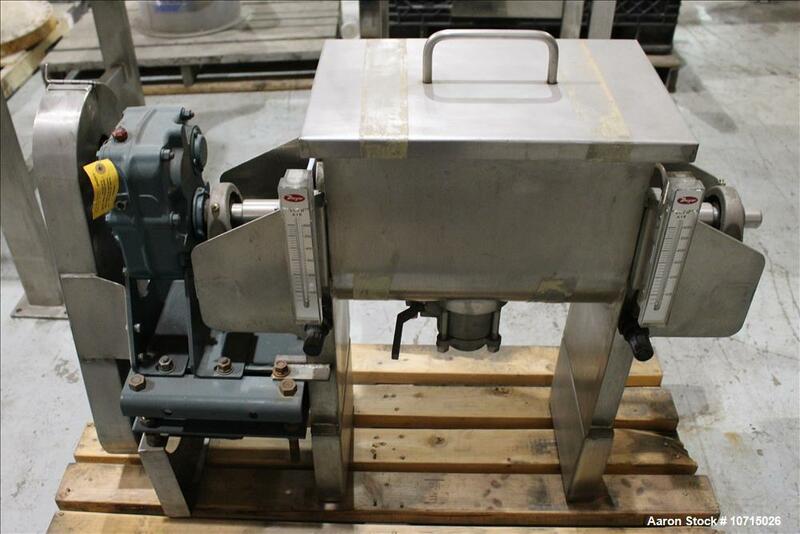 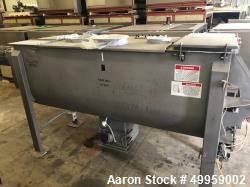 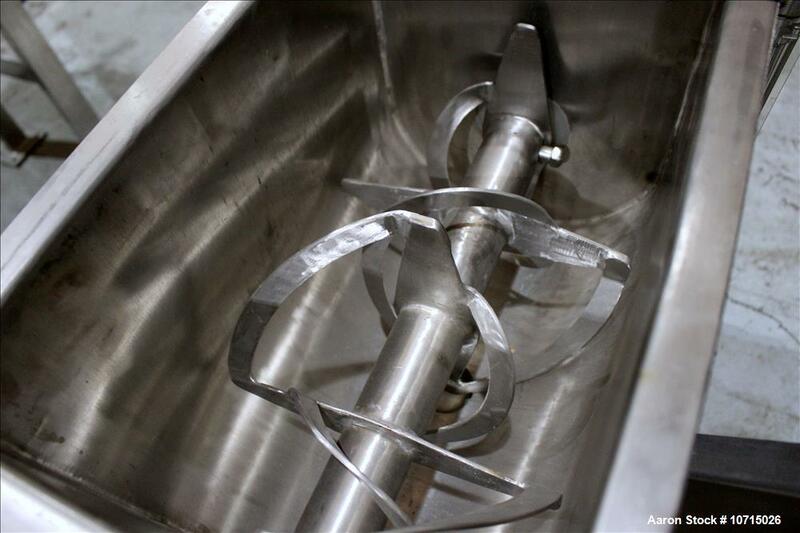 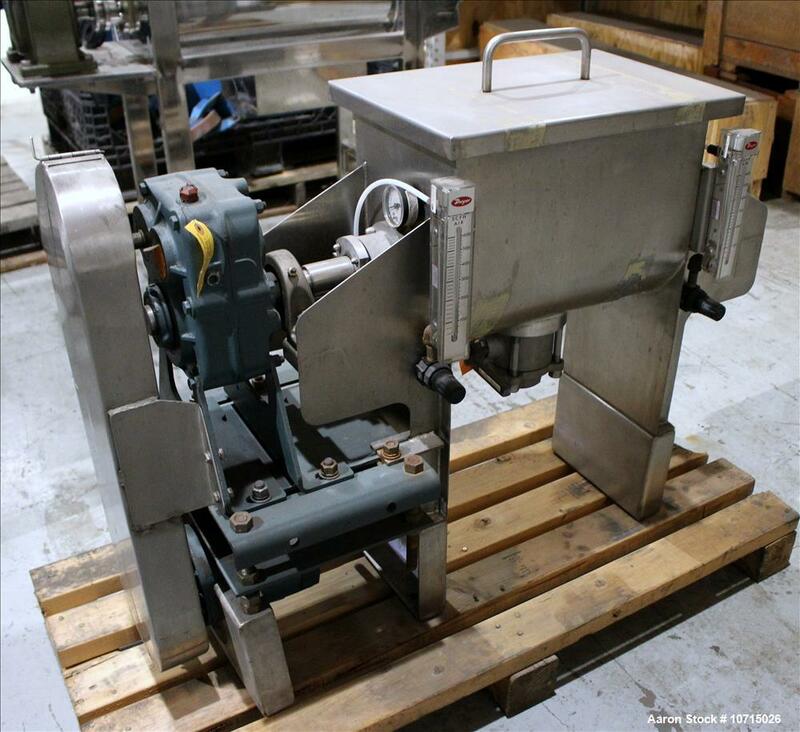 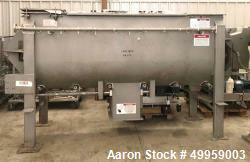 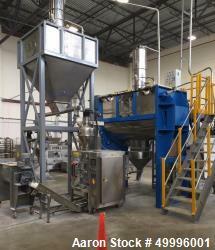 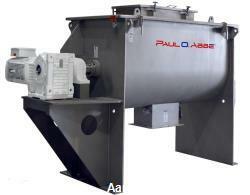 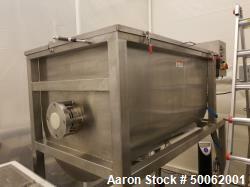 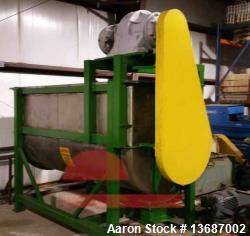 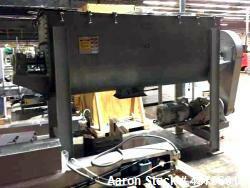 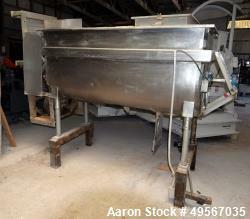 New- In Stock- Aaron Process 1 Cubic Foot Ribbon Blender. 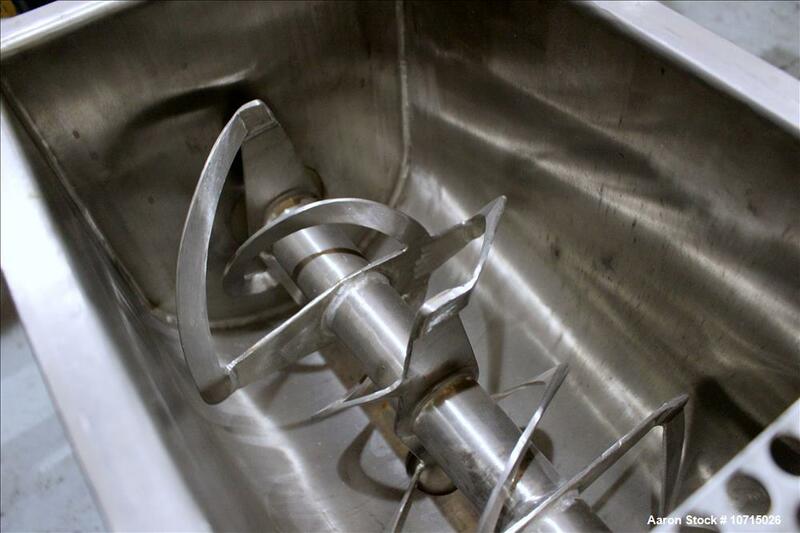 Type 304 Stainless Steel. 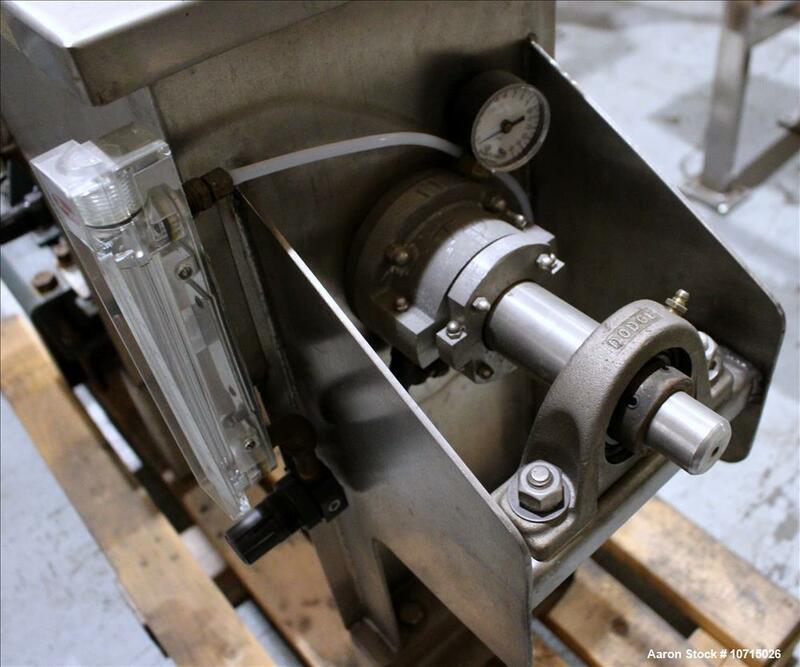 All external stiffeners, legs, ribs and supports are constructed of 304 SS. 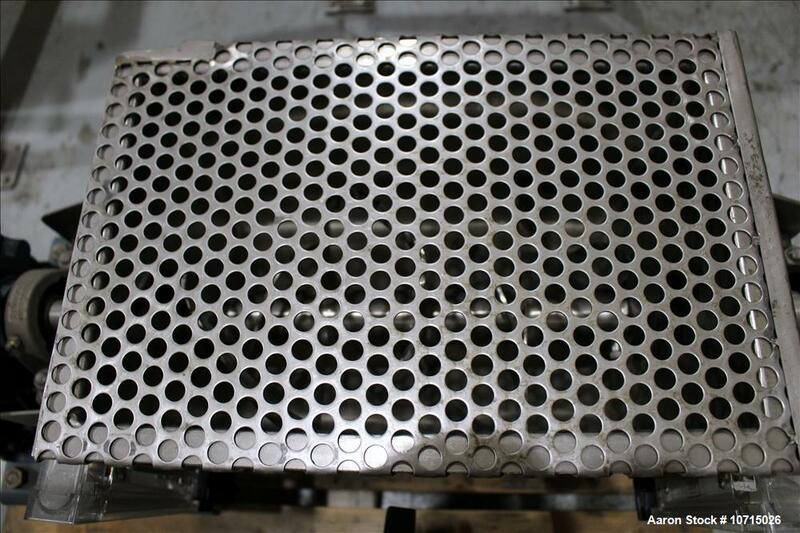 Inside trough measures 11" wide x 18" long x 13" deep. 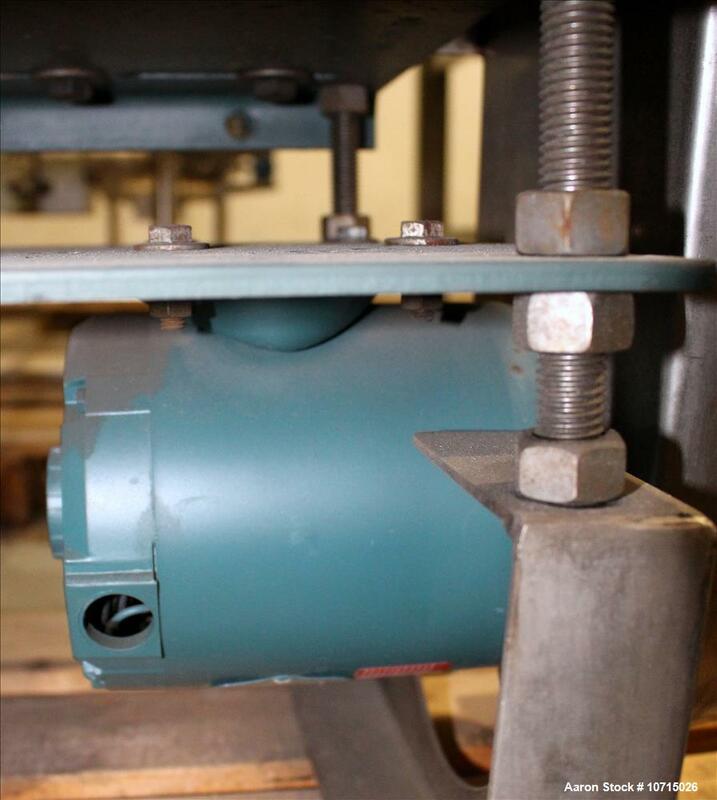 2-1/4" Center bottom outlet with Manual Slide Gate Valve. 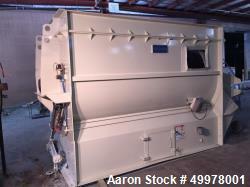 Polished finish exterior and interior. 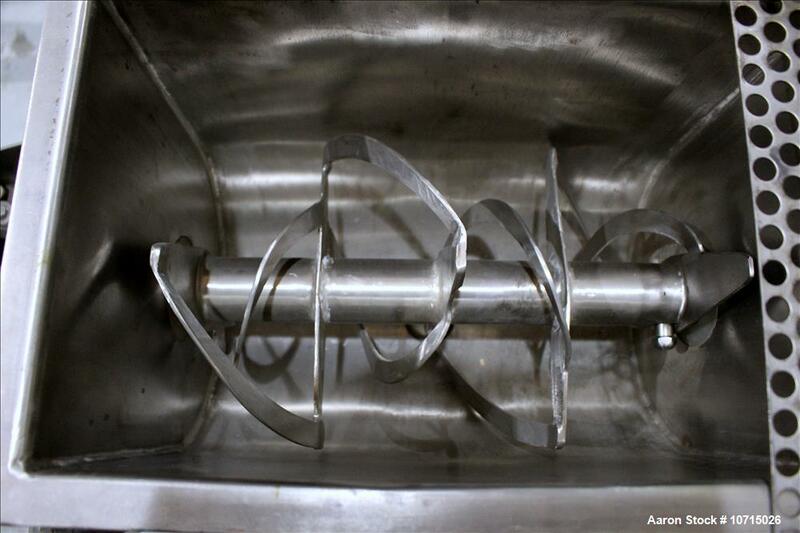 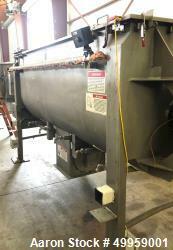 Double ribbon design agitator constructed of 304 SS. 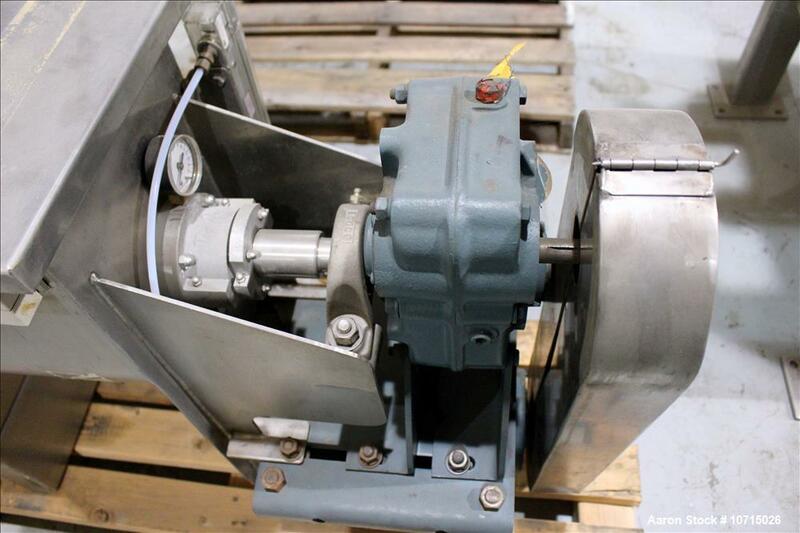 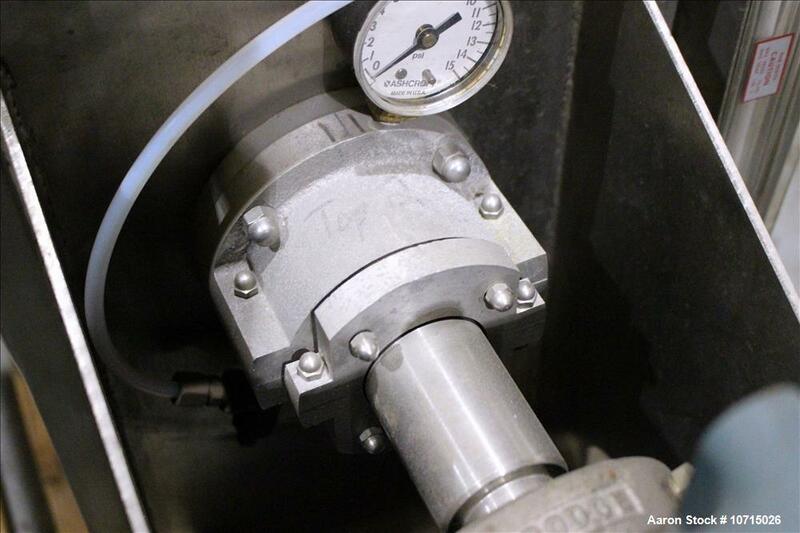 1-1/4" Diameter removable main shaft arranged for 87 RPM. 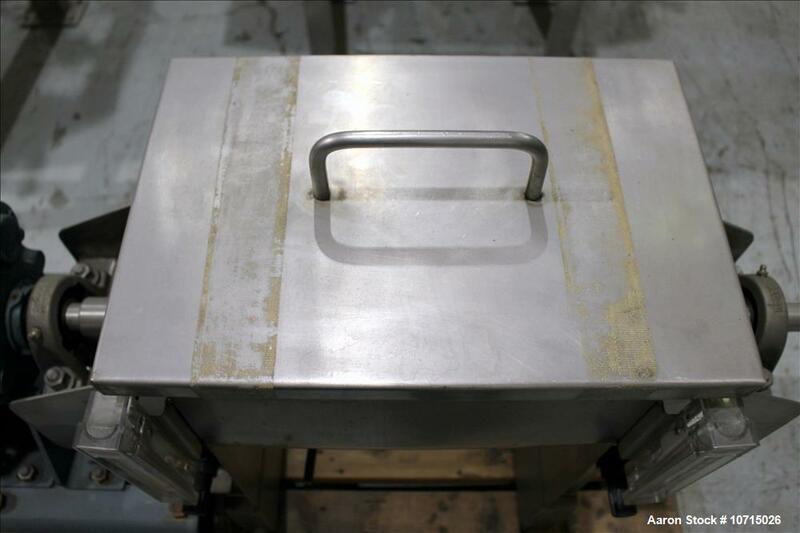 Single piece hinged top cover. 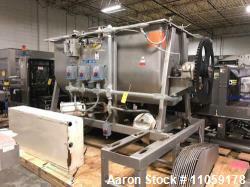 Driven by a 1HP, 1 PH/60Hz/110 volt, TEFC, direct connect gear motor.